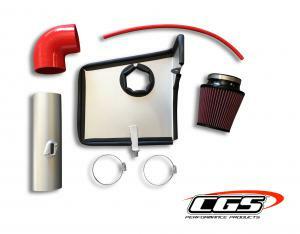 This CGS Cold Air Intake System provides your Chevrolet Camaro an increase in both power and efficiency. By using the highest quality material and manufacturing processes available, each Chevrolet Camaro intake is designed and crafted to provide long-lasting good looks and durability. Includes a rechargeable lifetime air filter and features CNC mandrel-bent steel tubing, double powder coated with ceramic silver and clear. Installation on your Chevrolet Camaro is simple and requires no modifications. 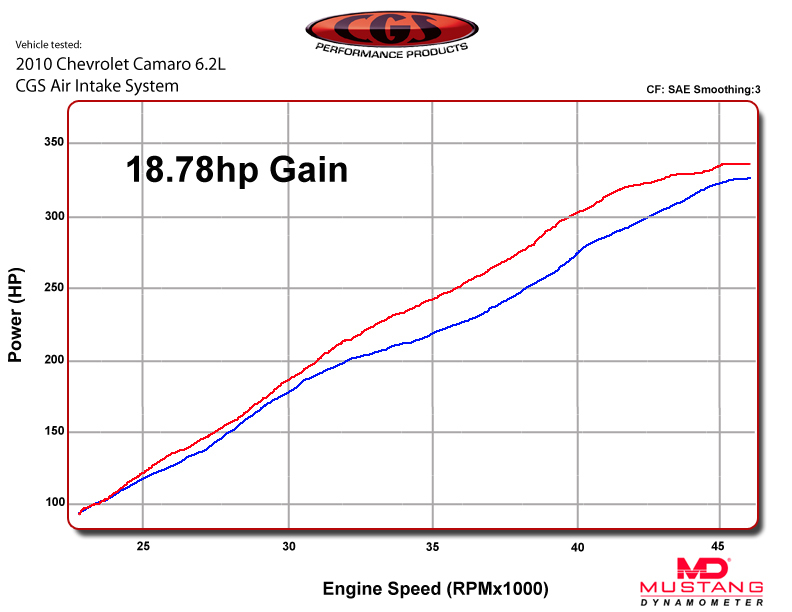 Provides significant increases in horsepower and torque. Most applications are C.A.R.B. exempt. Lifetime Warranty. CGS won a GM Design award at the 2010 SEMA show for their 2010 and up Camaro products. This kit comes complete with a heat shield. 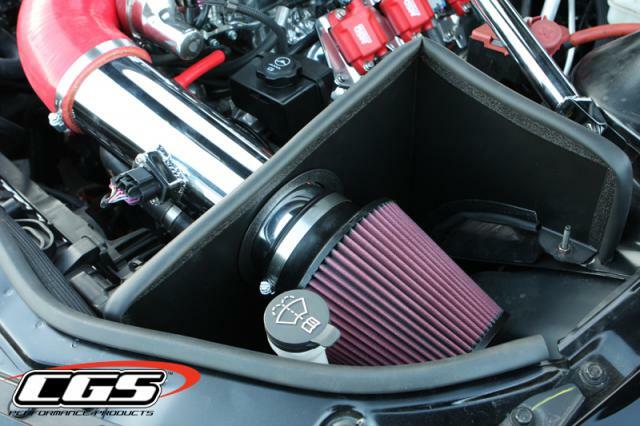 This Intake was one of the easiest aftermarket parts I have ever installed. Awesome product. Bruce Van Leeuwen would recommend this product to a friend.